Dimensions 590'7" by 68'2" by 23'3"
The Ryujo was completed in 1933 as Japan’s first carrier built as such from the keel up. Her designers did everything possible to keep her displacement under 10,000 tons so that she would be excluded from the total carrier tonnage limit under the naval disarmament treaties. 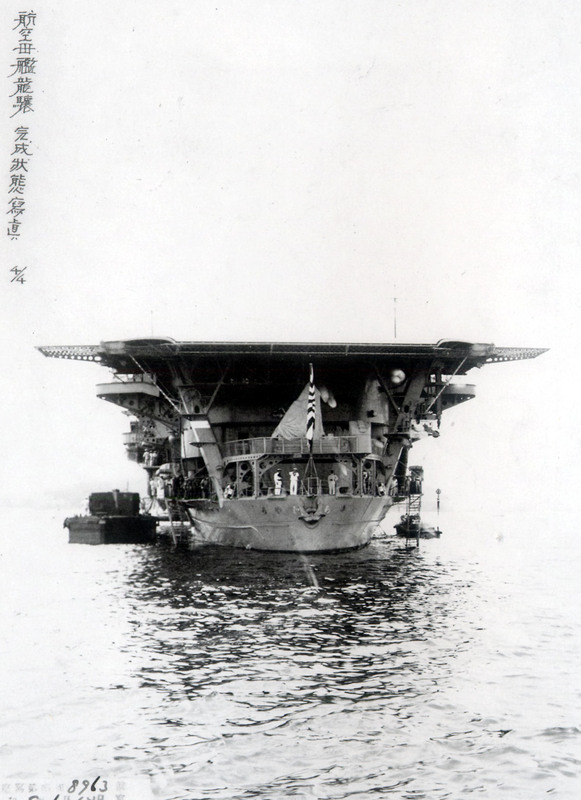 However, it soon became clear that original design would be unable to embark an effective air group, and the design was modified by adding a second hangar deck to increase her air group to 48 aircraft. This pushed her displacement to almost 12,500 tons, but this fact was concealed from the other treaty powers. The result was a carrier that was able to operate a fairly large air group for her size, but lacked strength, protection, and stability. A flush deck carrier, her flight deck ended almost 80' (24m) short of her bow, which gave her bridge excellent visibility at the cost of further reducing her flight deck length. She was in some respects an attempt to build the minimum possible useful carrier. She was extensively modified after the Tomozuru incident to improve her stability, which also reduced her displacement to near the treaty limit, but at the cost of a reduced antiaircraft battery. 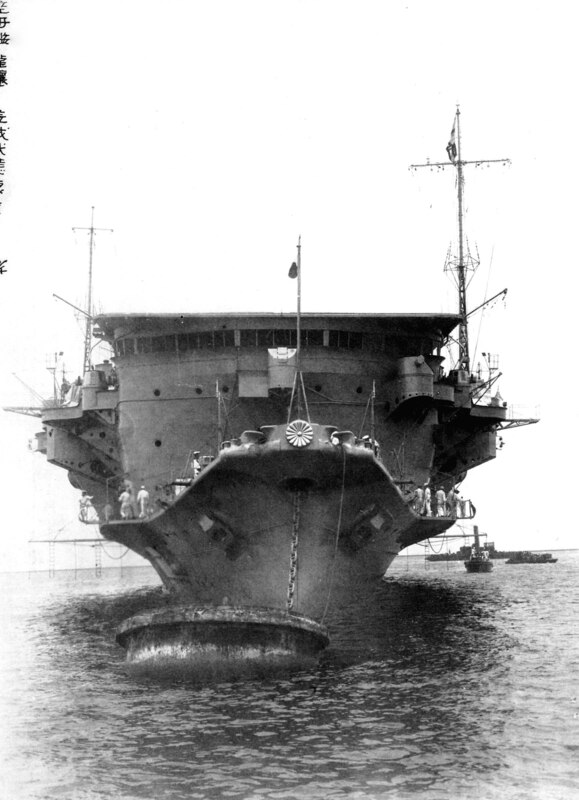 Ryujo began the war with the Legaspi Support Force (Takagi) off Davao. She was sunk by aircraft on 24 August 1942 off Guadalcanal, during the Battle of the Eastern Solomons.